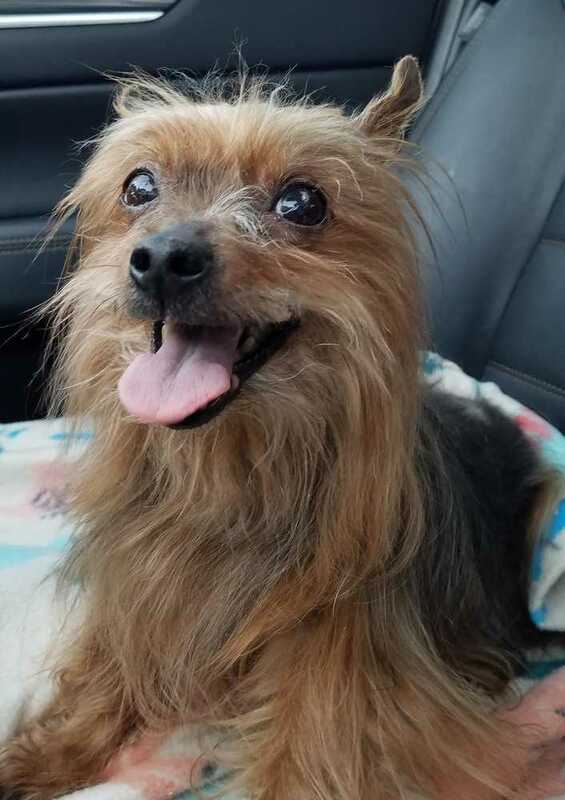 Cinnamon is a 13 year old Yorkie. She has some hair loss on her back but doesn’t seem to be a flea allergy or anything health related. Probably just needs some good food and some TLC. She is very friendly and energetic.